Item number Af456 a from the MOA: University of British Columbia. 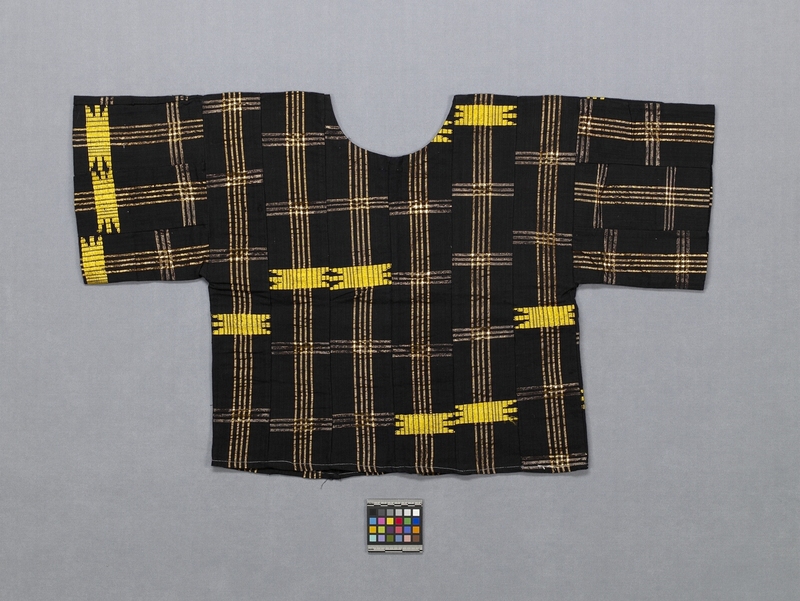 Blouse that together with a skirt (Af456 b) and head-tie (Af456 c) forms a costume or suit. 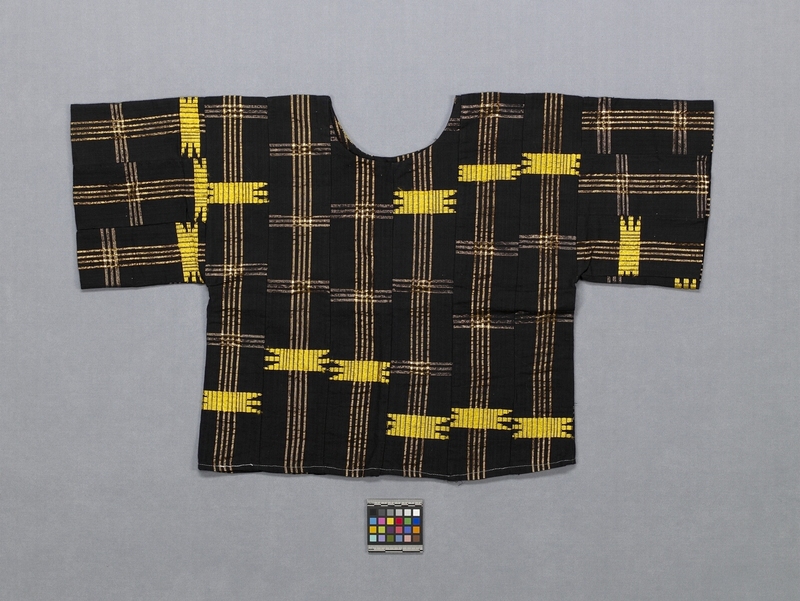 The blouse has short sleeves, rounded neck, and is composed of narrow black cotton strips sewn together; decorated with four vertical rows of gold metallic thread per strip and three horizontal rows repeated within each strip but not aligned between strips. A linear, solid geometric pattern occurs randomly, in gold, silk thread.